If you think our corner of the galaxy is in terrible shape—inhabited by dwarf planets and so far occupied by a single sentient species—wait until you here about a distant neighbor, NGC 3842. They got is so bad over at their place, that scientists are mopping their brows of anxious sweat as they pore over the data about NGC 3842, which is blighted by a black hole. The problem is it’s a really huge black hole capable of sucking entire solar systems. Gah! If NGC 3842 is bad news, then NGC 4889 is even scarier. Scientists from University of California-Berkeley were able to calculate its weight via two Earth-based observatories. They did so by noting the speed of the stars on its periphery, which is indicative of the black hole’s gravitational pull. 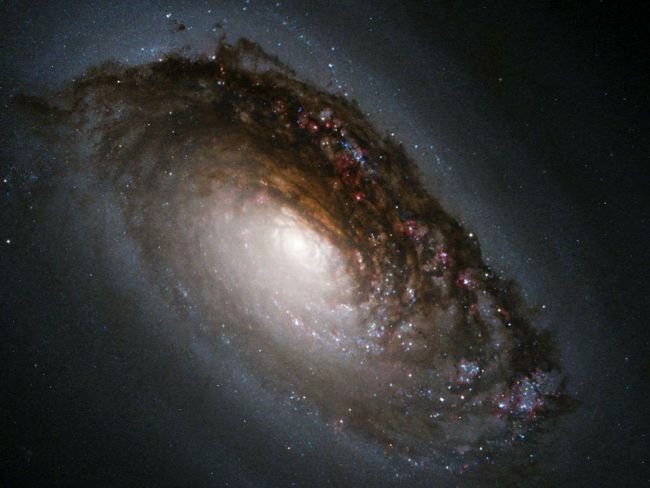 The staggering scale they reached was: NGC 4889 is 21 billion solar masses, which is the largest so far in any conceivable records of black holes. For the whole scoop on this awesome twin discovery, catch the upcoming issue of Nature.